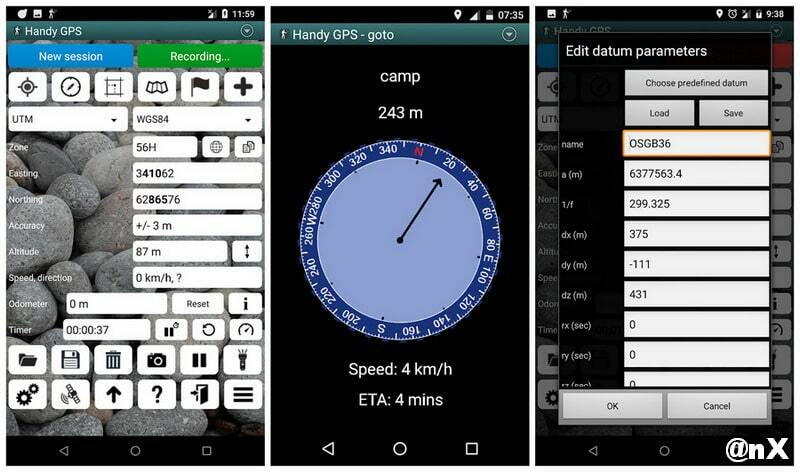 Handy GPS is the perfect pro companion for your next outdoor adventure. Seek, find, record and return home with Handy GPS. This Paid app is a powerful navigation tool designed for outdoors sports like hiking, bushwalking, tramping, mountain biking, kayaking, boating, horse trail riding, geocaching. Its also useful for surveying, mining, archaeology, and forestry applications. 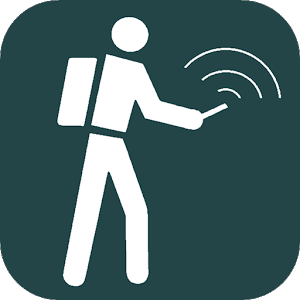 Its simple to use and works even in the remotest back country since it doesn't require network connectivity. It allows you to work in UTM or lat/lon coordinates so you can even use it with your paper maps. Waypoints and track logs recorded in the field can be be viewed later in Google Earth. Unlimited number of waypoints and track log points. Email or SMS your location to a friend as a clickable Google Map link. Email your waypoints and tracklogs as KML or GPX file. Supports common datums such as NAD83 (US), OSGB36 (UK), NZTM2000 (NZ), SAD69 (South America) and ED50 (Europe), and you can configure your own custom datums, including local grid systems. UK grid refs with two letter prefixes can be shown if OSGB datum selected. Take photos and record voice memos, geo-located with KML files for easy viewing in Google Earth on a PC. Geo-tag photos, and/or have the coordinates and bearing "burnt" into the image. Show sun rise and set times. Export waypoints and tracklogs to CSV file. Create new waypoint by projecting existing one using an entered distance and bearing. Compute length, area, and elevation change for tracklog. Offline map support by downloading tiles from map tile servers, or using own map images. Optional location sharing on web. Spoken distance and direction guidance on goto page. You use this app at your own risk. The developer accepts no responsibility for you getting lost or injured as a result of using this app. Batteries in mobile devices can go flat. An alternate power source is recommended for extended hikes.